What is awesome? 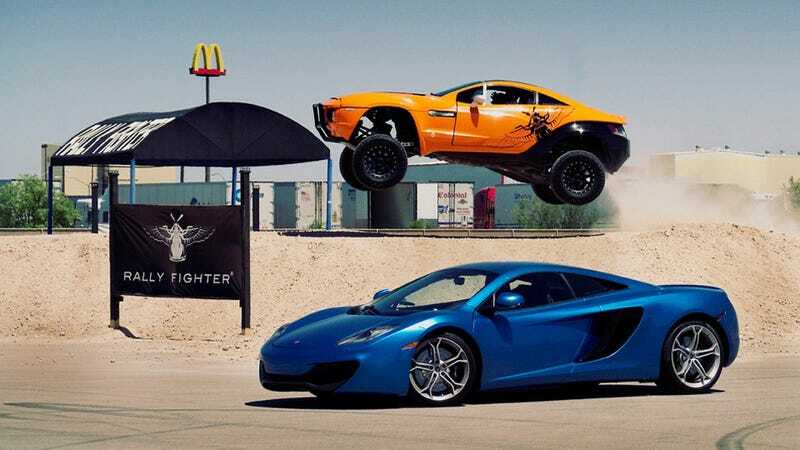 Awesome is when you jump a rally fighter and there just so happens to be a McLaren 12C hanging out in front of you. Well, this photo op didn't happen by chance — it's part of Jamie Kitman's crosscountry drive in said blue Macca, when he apparently stopped over at the dream-worthy Local Motors microfactory along the way.